Bob-white or Partridge, Quail, (Colinus virginianus), Plate 12. 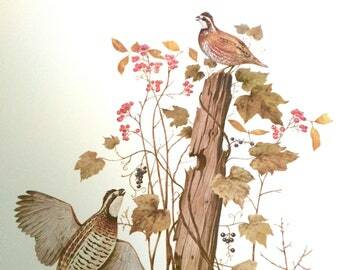 Antique bird print from the Birds of Pennsylvania, 1890. Cyndi hasn't made any lists... yet.